The earliest Cadbury ad in Hindi? 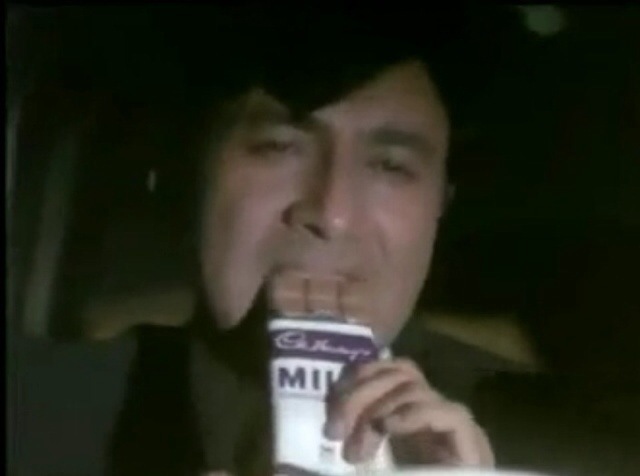 Those were real big bars of chocolates back in the 1960s (the movie is Dev Anand starrer Gambler). Also, this was before the Dairy Milk branding and the all purple look.